PRICED REDUCED...Wooded lake front on beautiful Thunder Lake in the heart of the lake country in Mason County. A private lake (electric motors only) which features excellent fishing, blue gills, perch and walleye, plus others. There is electricity on site for your motor home, camper or tent, driveway already established and the lot comes with a dock and fire pit. 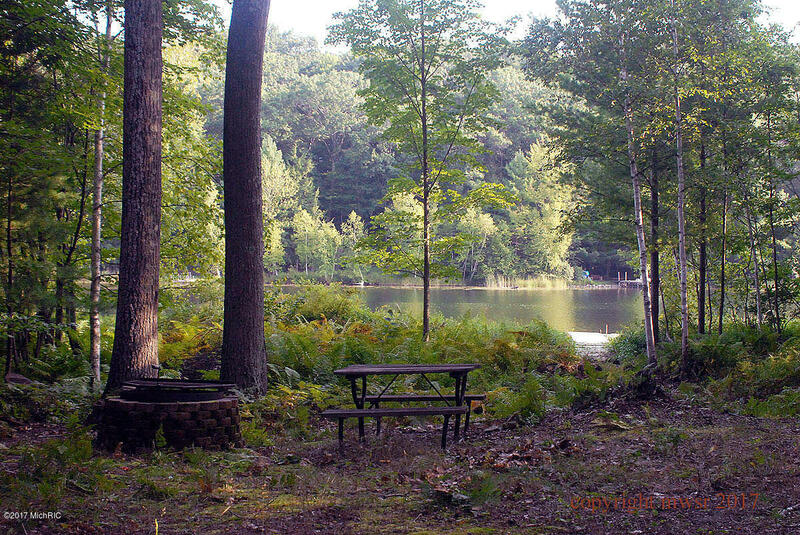 A great place to relax and enjoy the lake view and spend your spring, summer and fall in the Michigan out of doors. Possibilities areendless. Possible L/C. The data relating to real estate for sale on this website comes in part from the Broker Reciprocity Program of MichRIC, LLC. Real estate listings held by brokerage firms other than MI West Shore Realty are marked with the BR logo and detailed information about them includes the name of the listing broker. Listing broker has attempted to offer accurate data, but buyers are advised to confirm all items. Information last updated on 2019-04-19.